As Regional Managing Director and market leader for Orange County, Inland Empire and City of Industry for Colliers International, I am responsible for the operation of all our service disciplines, including office, industrial, retail, multifamily and investment properties. I am also part of an occupier services team that represents corporate users throughout Orange County and the Inland Empire. After three decades in the commercial real estate industry, I can still say I truly enjoy what I do. I love the competitive nature of trying to put a deal together, but what is really rewarding is when all parties involved come to a compromise that works for everyone. Should there be a stalemate, I don’t pound my fists and scream; I introduce logic to what can become an emotional process, allowing me to excel in finding solutions for some of the more difficult and complicated transactions in the industry. I am proud to be a part of Colliers, a global leader in commercial real estate services with more than 15,000 professionals operating out of 396 offices in 68 countries. I look forward to connecting with you. I participate in multiple civic and professional organizations, including Urban Land Institute (ULI), where I serve on the Orange County / Inland Empire Advisory Board and act as Vice Chair of the Office and Commercial Initiative Council. 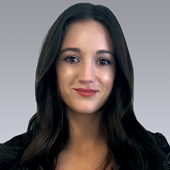 I am also involved in the National Association of Industrial and Office Properties (NAIOP), the Building Owners and Managers Association (BOMA) and the Los Angeles Commercial Real Estate Association (LACRA). I believe in community involvement and have served on numberous boards of directors for groups including City of Hope, United Way, Irvine Little League and Meadow Park Foundation. I also enjoy donating my time to assist nonprofits, such as the Mariposa Women & Family Center and Dollars for Scholars, with their real estate needs. MARGARET SPIGELMIRE | Controller | Frazer LLP | Bob’s diligence, exceptional level of service and in-depth knowledge of the local market allowed our firm to make critical commercial real estate decisions. 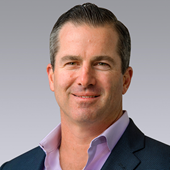 DANIEL ISENBERG | Director-Global Real Estate | Beckman Coulter | We have worked with many prominent real estate brokers and we can say that Bob’s professionalism, candor and commitment to the process are second to none. RAY HOWLETT | Manager | Smart Utility Systems | Bob's and Ryan’s attention to detail made for a very smooth transaction. From the onset, they listened to the needs of our firm and, most importantly, delivered exceptional results. TIM ORCHARD | Chief Financial Officer | Sully Miller Contracting Co. | Bob’s diligence, exceptional level of service and in-depth knowledge of the local market allowed Sully-Miller Contracting to make critical commercial real estate decisions. 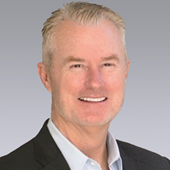 STEVEN M. CASE | Executive Vice President | The Irvine Company | Bob holds a deserved place in the top tier of the real estate brokerage community. Irvine Company Office Properties extends its appreciation to him on representing the FDIC in the largest lease transaction in Orange County. SCOTT G. SAN FILIPPO | Partner | Praedium | I have worked with the Caudill Team for nearly ten years, both representing me and across the table. Their insight, execution and professionalism have been a real asset, on both the investment and leasing transactions we’ve done together. 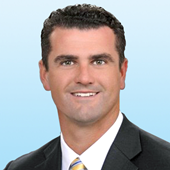 DAVID ATTAR | Leasing Director | CIM Group | Colliers is our office team for Orange County. The Team has helped us lease a very high profile, high priority project with excellent results to date. Their day-to-day knowledge of the market—what our competitors are doing as well as what requirements are in the market—is second to none. SEAN TABOR | Chief Financial Officer | Thrifty Oil | Bob Caudill and his team are our go-to guys when we need to understand what is going on in Orange County. Their insight and market information is second to none and a critical component of our process. Ryan Ward specializes in representing corporate clients and both institutional and regional ownerships in the leasing and sales of their real estate in Orange County and throughout Southern California. 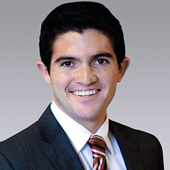 Previously Ryan was with Grubb & Ellis Company as an office broker and is an active member in the ULI. ,oe has focused primarily on Orange County Office and Industrial properties since 1997. He specializes in representing tenants and developers in building/site selection, financial and market analysis, and lease/contract evaluation. Over the past 5 years Joe has leased or sold over 5 million square feet with transaction volume in excess of $950,000,000. This outstanding record was achieved through Joe’s passion for what he does and tireless work ethic. His honesty, integrity and attention to his clients’ needs illustrate his dedication to success. Michael Hartel is recognized throughout Orange County as one of the top producing commercial real estate professionals and leading industry experts. With nearly 30 years of experience and wisdom under his belt, Mike provides unmatched service to his clients as he represents their interests in the sale and lease of industrial, office, R&D properties, and vacant land transactions. Mike’s clients appreciate his determination and dedication to procuring the best possible outcome for each transaction, and they depend on his keen ability to navigate and negotiate seemingly difficult transactions with ease. Mike specializes in seller/landlord representation, buyer/tenant representation, investment acquisitions/dispositions, 1031 exchanges, and commercial development projects in the Orange County Airport Area and the Irvine Spectrum. 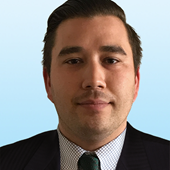 Nick Velasquez started his career at Voit Real Estate Services in 2013 and moved to Colliers International in 2016. Nick is focused on buyers/sellers and tenants/landlords representation in the Airport Area Industrial Market. Nick’s clients benefit from his constant exposure to the Airport Area Marketplace. A tenacious prospector, his market knowledge comes from face-to-face interaction with Industrial owners and users on a real-time basis. His commitment paired with his authentic concern for his clients best interest ensures quality results on each and every transaction.